A new feminine fragrance by Salvatore Ferragamo, Signorina. I like the sweet, fresh floral and fruity scent. 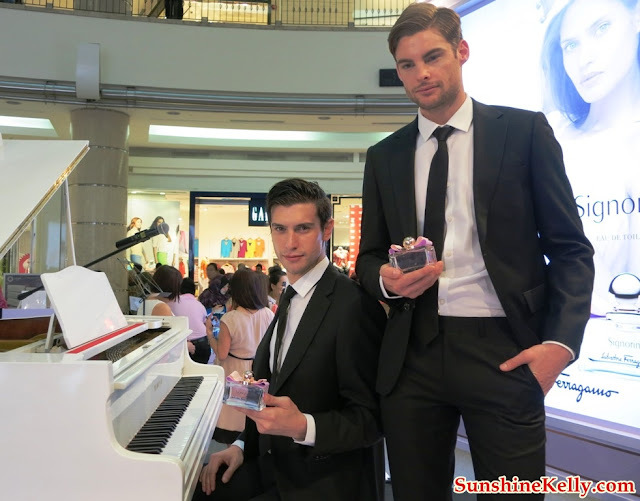 This is the new fragrance creation with the elegant and all Italian style by Salvatore Ferragamo. A fragrance inspired by the strong bond between Salvatore Ferragamo and trendy feminine young ladies with timeless modernity, creativity and a hint of audacity. 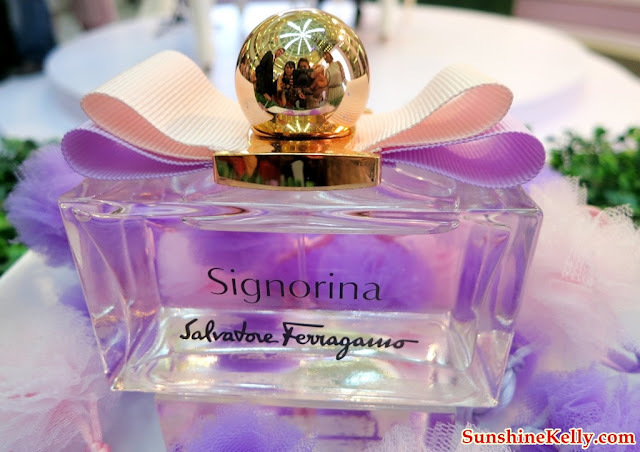 Signorina Eau de Toilette is a floral and fruity fragrance inspired by the chic sensation of a rice steam colored by feminine rose notes and fruity tones on a milky woody dry-down. Juicy Litchi notes and tender tasty Grapefruit Pulp create a natural fruity top. The heart is a delicate veil of Rice Steam aerial notes and fresh Rose offering their silky texture. In the dry-down, a smooth and addictive Milk Mousse is shaken by the ambery woody vibrations of Cashmeran. 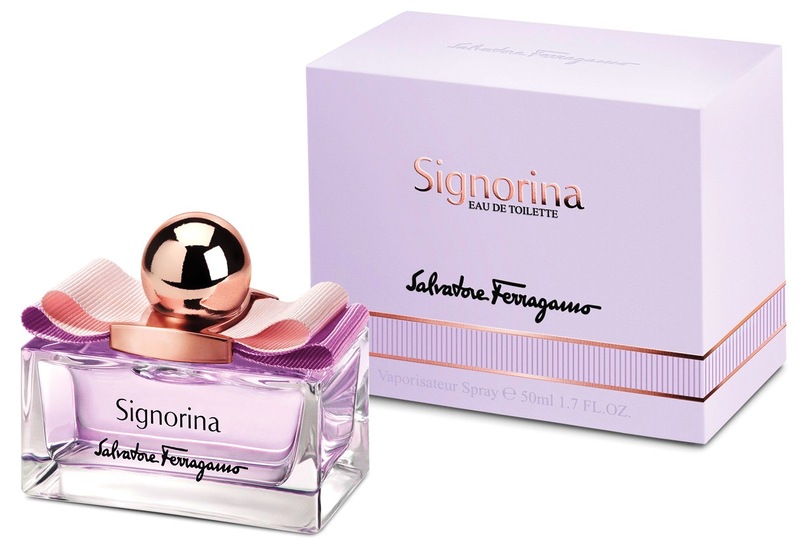 Perfumers for Signorina are Sophie Labbé and Juliette Karagueuzoglou (IFF). 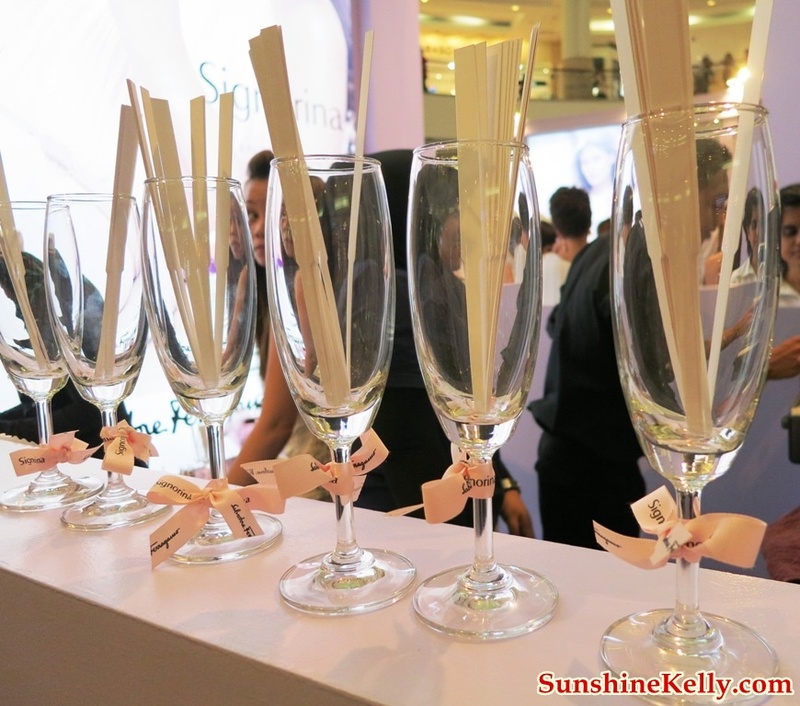 I like the simple clear bottle with the Salvatore Ferragamo signature Vara bow. The pink and lilac Vara Bow signifies romantic and femininity in Signorina, infuses a sense of freshness and a fashion edge. The packaging design by Sotano Studio. By the way, a brand new fresh yet romantic image of top model, Bianca Balti, brightened by a soft rose romantic light to further portray the femininity and joy of Signorina Eau de Toilette. A girl, a “Signorina”, as the interpreter of an iconic love, but in a more sensual and cheeky attitude with the impeccable signature and style by Salvatore Ferragamo. 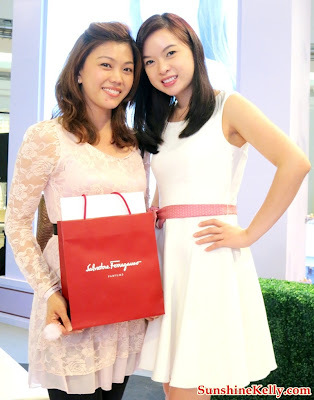 She wears the renowned Varina ballerinas to further depict the strong link with the fashion heritage of the maison.